Believe it or not, in 1984, five-year CDs are paying over 12 percent interest! It sounds crazy now with measly interest rates of 3 percent on five-year CDs – even at the best online banks. At most brick and mortar banks––it’s even worse––they’re currently at about 1.5 percent. But rates in the 12 to 15 percent range really did happen on a regular basis. However, as good as that sounds, when the historical CD rates were high, so was inflation and interest rates. So, savings may not have been quite as robust as it may appear on the surface by just looking at the historical CD rates, because goods and services were rising in cost so fast. Below you can compare historic CD rates for 6-month, 1-year, and 5-year CD yields since 1984, based on data collected by Bankrate. As you can see from the graph below, the yield curve for all three types of CDs over this time period has declined consistently. Will We Ever Get Double-Digit CD Interest Rates Again? We might. 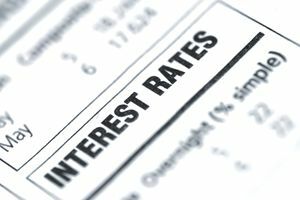 If inflation starts to get higher and interest rates start to be raised, we’ll probably find CD rates rising as well, as these are two major factors that help determine CD interest rates. If you have extra money to save that you can put into a medium to long-term savings vehicle, then CDs are a good way to go for at least part of the money you’re putting back. There are several reasons for this, but the most common reason that people save money in CDs is that they’re extremely safe. CDs are backed up by the Federal Reserve and are insured for up to $250,000 per depositor, per FDIC insured bank. That means that if you have a great deal of money to put into savings, you can save across several different banking institutions and still have it all be insured by the federal government. Contrast that with a stock investment, where if the company goes under you can end up losing everything. Because certificates of deposits are one of the safest investments around, they can give you serious peace of mind. By knowing that your money (or part of your money) is safe from the craziness of the stock market, you can rest easy. You don’t have to worry about those funds. You’ll know they’ll be there for you when the certificate matures–and that they have made a little money along the way. When you own certificates of deposit, you know exactly at what rate they are going to throw off income. If you have $250,000 in a CD at 3 percent return then you know you’ll get about $625 a month in guaranteed income. That’s a nice chunk of change to know for sure that you have coming in. Guaranteed passive income is particularly important when you are retired or pursuing a path of entrepreneurship. The reality is that you never know what the stock market is going to do. I’ve seen it fall to the point where it’s caused nationwide economic collapse – like in 2008. And so, I don’t want to ever have all of my eggs in one particular basket. By putting a percentage of your money in a “safe” saving vehicle like a CD, you'll know that no matter what happens to the stock market I’ll have money set aside. Even if you invest in stocks, bonds, and mutual funds, you may want to consider CDs as a part of your investment portfolio. While CDs don’t often outperform the stock market over the long haul, they do perform much better than the typical money market account. Certificates of deposit usually have a 5 to 10 times higher yield than money market accounts. It’s a pretty big margin. I would love to be making 12 or 15 percent of my CDs, but I don’t want to see runaway inflation and interest rates. Because of that, I’m willing to take CDs at lower rates and continually put my money into them and roll them over when they mature. Doing this can create a very nice passive income stream that you can rely on if times get tough. And for many people, that kind of security is priceless.